At Home with Gracey: Summer ... and the Water is Fine! Summer ... and the Water is Fine! This year, summer is turning out to be…well…summer! 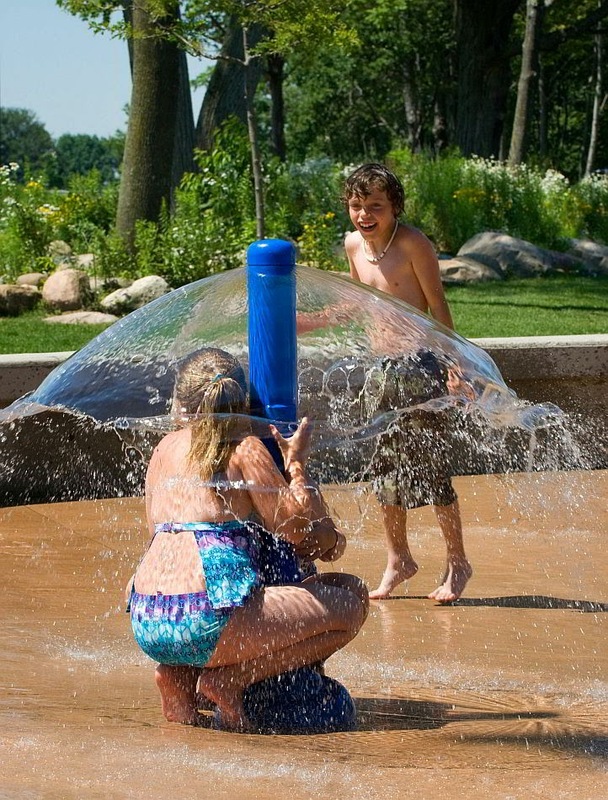 In the last few years our summer season has been much cooler than we normally expect, and a lot wetter, leaving us with only small periods of time to get out and enjoy the sun and summer activity. Last year, I spent a lot of the summer wearing long sleeves, jeans and even turtlenecks. That wasn’t my idea of a nice summer. This year, however, has been an old-fashioned summer with lots of sun, hot days and cooler nights. Sure, we’ve had some rain and thunderstorms here and there, but on the whole, it’s been great. We’ve been able to spend time at the beach, and out on the boat and walking and hiking. I haven’t spent nearly as much time at the computer this summer, but I’m storing up lots of photographs that I can process through the winter months. Our grandkids love getting out in the boat with us – one of their favourite activities is tubing, but we haven’t gone out and purchased one as of yet. We’ve used a borrowed one on occasion and while it’s a blast of fun, it scares me a little. Seeing my grandkids bouncing off a flying donut in a rough lake full of other boaters scares the crap out of me…I know it shouldn’t, because we follow all the safety rules, but still…. 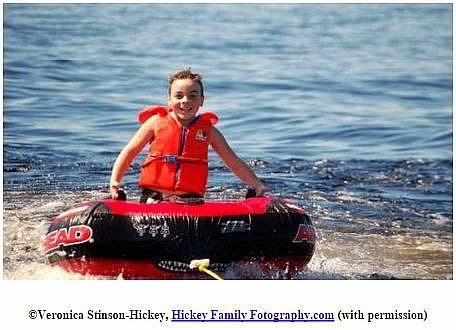 When my own girls were little we taught them how to waterski and that didn’t scare me as much as watching my grandkids in these tubes…which to me look like nothing more than huge inner-tubes with a bottom. 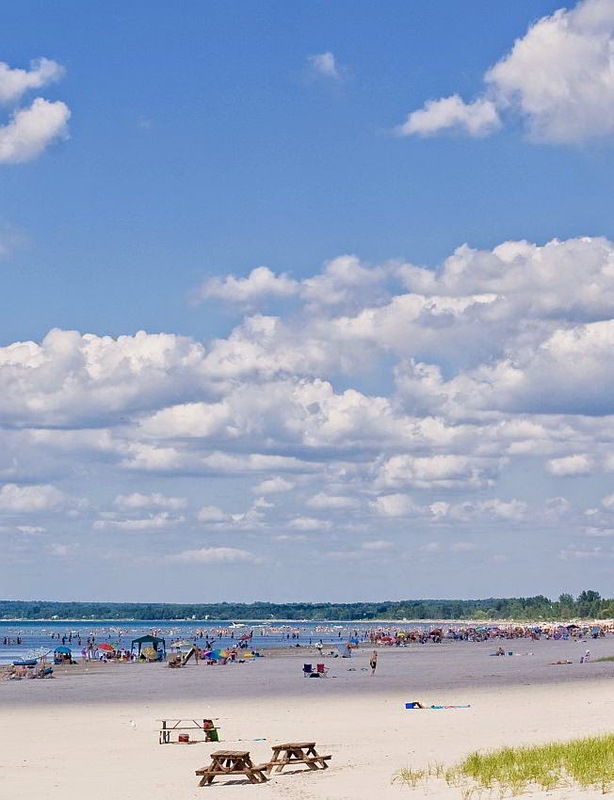 Most often when we’ve got the kids out we’ll take the boat over to one of provincial parks (we’ve got a few in our area) and anchor off the swimming area and we’ll all swim off the boat. This year we invested in some new life jackets too. Boating regulations have changed a little, and boaters must now have a license to drive a boat in our waters, and kids can’t anymore. That’s a step forward, really. There were too many people on the lakes with little to no knowledge of proper boating. The OPP have been out in force on the lakes this year, checking for licensed drivers and checking for the requirements – on board you must have enough life jackets for each passenger. 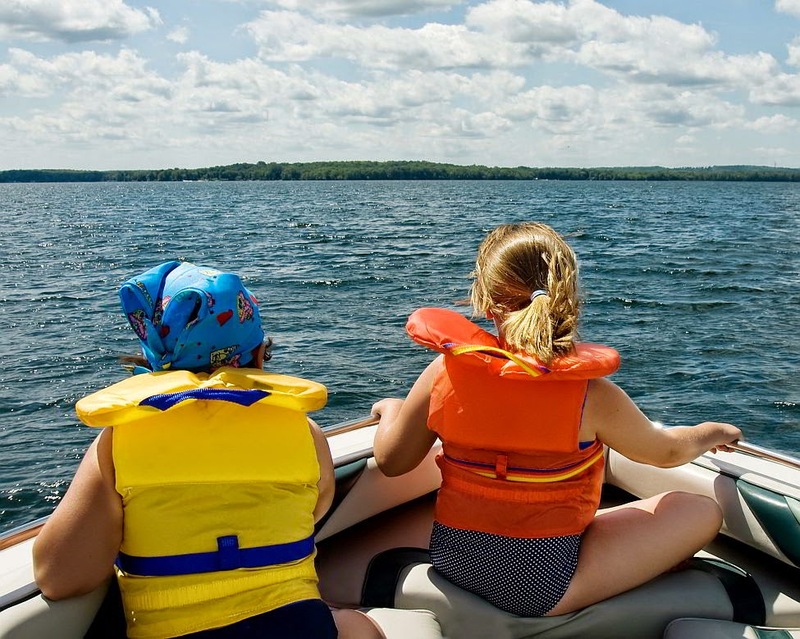 People under 16 must wear a life jacket appropriate to their size while in the boat, adults must have one within reach. Other requirements are paddles, bailers, anchors…an assortment of items for safety purposes. We have all that…we’ve always had all that, but my husband and I have been boating on and off since we were kids. I still haven’t bothered to go and my license, but I probably should…when I have time. We probably have something like 10 life jackets on board now – too many really, because our boat doesn’t have the capacity for 10. We can seat about 8 comfortably – 10 if we need to, but we seldom do. We can seat 6 in the boat itself (seats for everyone), and 4 kids (or 2 adults) in the bow. Our grandkids all have their own life vests because their other grandparents are also boaters, but we really need to get a couple of kids jackets for the boat. Two of them can wear the adult small jackets, but two still need a kids jacket and there have been times when they forgot to bring their own. We have a couple of neck-style flotation devices (older, but still work) that do fit them, but, like everything else in life these things need updated from time to time. Today is Sunday…and supposed to be a nicer day out. I’m thinking we might have to go buy a tube today!